The Fellowship of Christian Cheerleaders is the largest Christian Ministry in the world solely focused on sharing Christ to cheerleaders! We do so via three main activities: Camps, Competitions, and Conferences. Our desire is to see the thousands of Coaches and Athletes who attend our events to not only grow in their sport, but to also grow in their walk with Christ! Every activity we do, from teaching a Liberty to presenting a Championship award, is surrounded by the Gospel. We present the Word of God at all our activities in many various ways. All of our coaches workshops and conferences take a Biblical approach to coaching methodology and our staff constantly pray for and with the athletes who come to our events. Not only do we minister to Cheer and Dance teams here in the US, but we take our Mission statement to heart and share the Gospel with teams world wide. A select number of staff, coaches, and athletes travel on special Missions Trips to the Czech Republic, Costa Rica, and Canada each summer to live out the Great Commission. FCC offers the highest quality of Christian Cheer/Dance training in the country with the most camps to choose from. Our carefully prepared program will not only prepare your athletes physically for next season, but most importantly prepare them spiritually for life! Come and be a part of America's #1 Christian cheer camp program! When you #StartWithaSmile, Amazon donates 0.5% of the purchase priice to FCC! Bookmark the link below and support us everytime you shop. 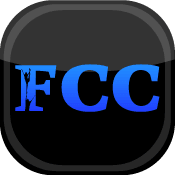 Help support Global Initiative and FCC Missions by contributing to the People's Choice Award! For more information, please click here. Download our app today! This App will give you immediate access to schedules, camp updates, forms, rules, photos and much more. You can also share your experience with your friends via Facebook, Twitter and email.